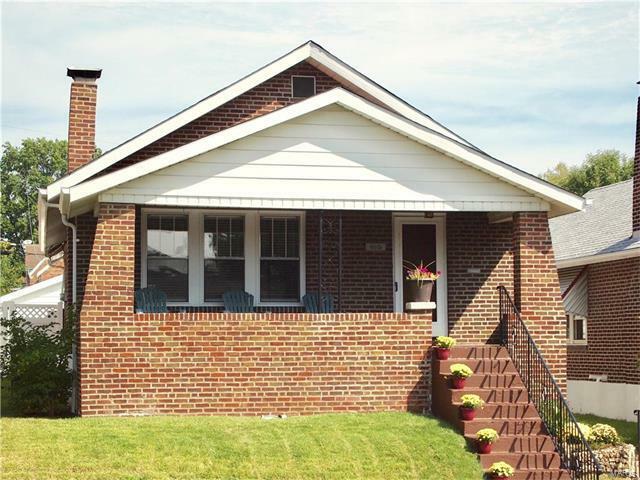 Great Location, 1/2 block to Lindenwood Park -Charming all brick 2 bedroom, 1 bath home. Gleaming hardwood floors - Renovated Kitchen (August, 2017) White cabinetry (including a pantry) granite counters, newer appliances- charming vintage colored glass window, new tile floor. The huge deck = 250 square feet of outdoor living space! = partially covered in this fully fenced (low maintenance) landscaped back yard. It will be your favorite spot to entertain friends and family - Spring, Summer and Fall! PLUS - 2 car garage with a garage door opener!! !